One of my all time favourite things to do in the summer is to go see a movie at the drive-in. As a kid I remember going to a bunch of them. There is something about the smell of popcorn, greasy hot dogs, and onion rings. There’s a drive-in theatre about 30 mins from my house, but they are getting harder and harder to find. Summer and a drive-in theatre is a bit like peanut butter and jelly. They just work really well together. My tendency is to be drawn towards the more complex and creative movies rather than blockbusters. One actor who I particularly admire is Anthony Hopkins, for his body of work and the spectrum of movies he has acted in. I was fascinated to learn about Anthony Hopkins’ career journey. He started his career on the stage and then moved to film. Anthony shared with the viewer a key factor of his success as an actor – ability to memorize the script. He said it was only when he knew his lines verbatim that he could fully enter into character. I see this with clients as soon as they find a script (message) that they think accurately reflects who they are and their story. The more comfortable you are with the message, the more you can enter into the conversation & thrive in your job search. Contrast that to a film with terrible acting – you can tell the actor is not in character and is not convincing. You might say the film deserves to go straight to Netflix. 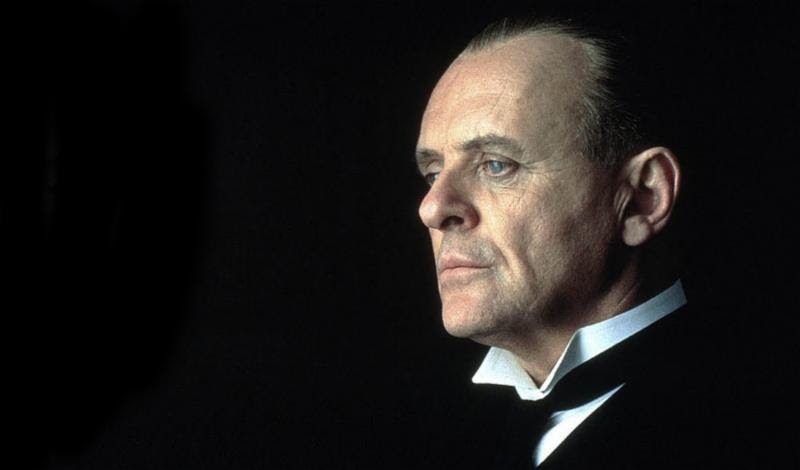 Someone like Anthony Hopkins will leave a legacy of work that is authentic and entertaining- giving us stories that enable us to enter into a different time and space. Find your own way of expressing what you have done, what you bring, and what you have to offer. Understand the context of the company; learn as much as you can about their products, staff, and competitors. Know it cold, then relax and enjoy the show. Are you having trouble finding your message? We can help.Connect with the CareerJoy team on LinkedIn, Twitter, Facebook and our Google + page! Prepared, along the road with you!